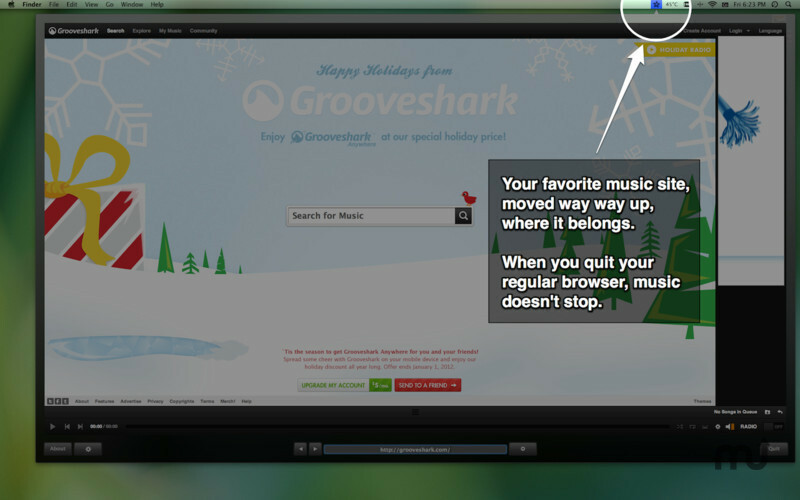 Your favorite browser-based music site in the menu bar. Is there a better alternative to WayWayUp? Is WayWayUp really the best app in Audio category? Will WayWayUp work good on macOS 10.13.4? 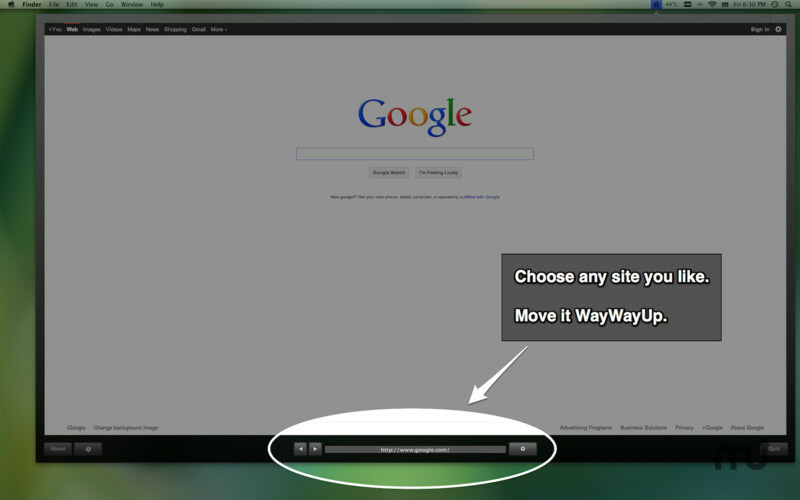 WayWayUp provides your favorite music site, moved way way up, where it belongs.When you quit your regular browser, music doesn't stop. Your favorite site, closed by accident? You can't find it quickly, among all other opened tabs? 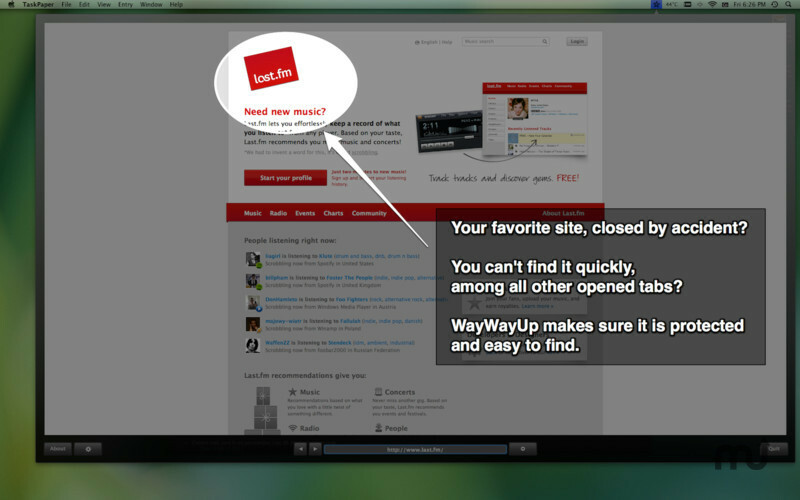 WayWayUp makes sure it is protected and easy to find. 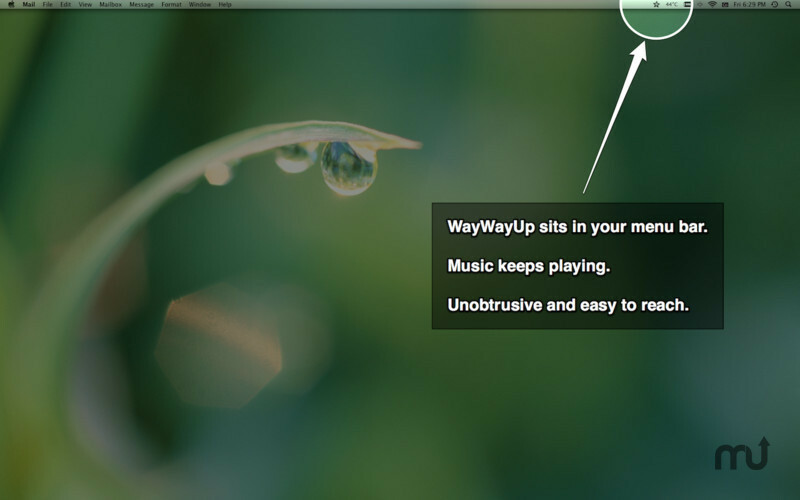 WayWayUp sits in your menu bar. Music keeps playing. Unobtrusive and easy to reach. Choose any site you like. Move it WayWayUp. WayWayUp needs a review. Be the first to review this app and get the discussion started! WayWayUp needs a rating. Be the first to rate this app and get the discussion started!